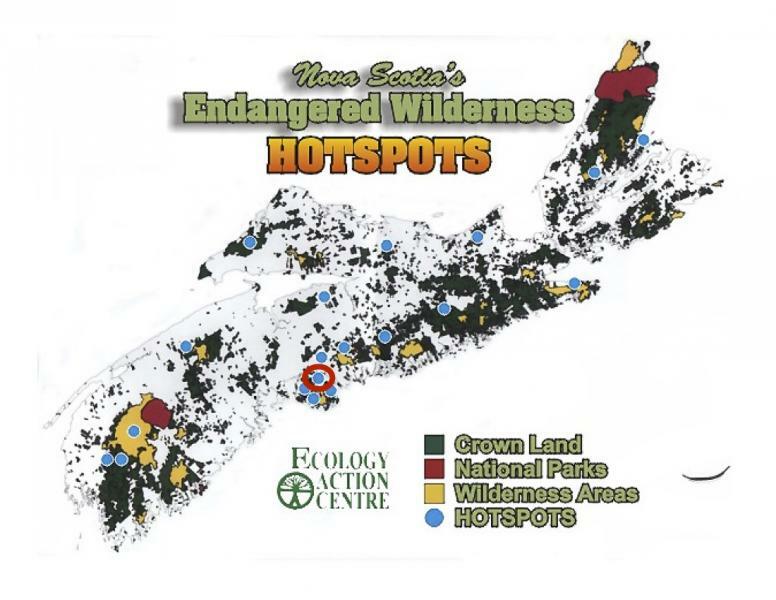 The Birch Cove Lakes area (circled in red) has been recognized by the City of Halifax as important natural area, rich in ecological features worth protecting, for nearly 50 years. 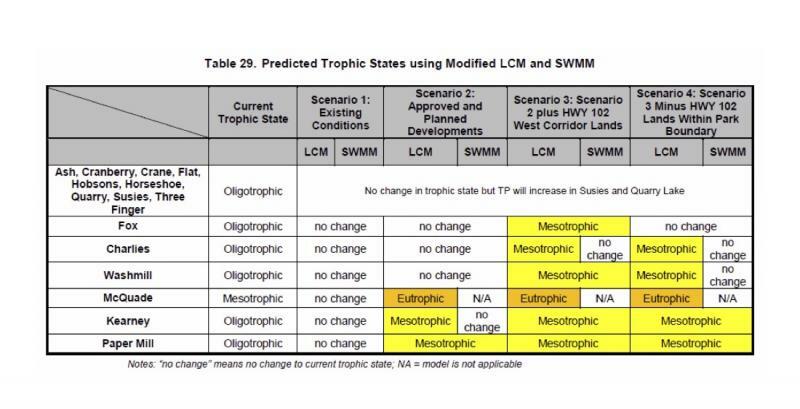 The Metropolitan Area Planning Committee (MAPC) study of 1971 identifies the area as a high priority for conservation. The MAPC study also recommended a fledgling greenbelt for the city with a network of interconnected natural areas. Unfortunately over the years little was done to actually implement that vison and, like so many othe studies, it was put on a shelf to gather dust. 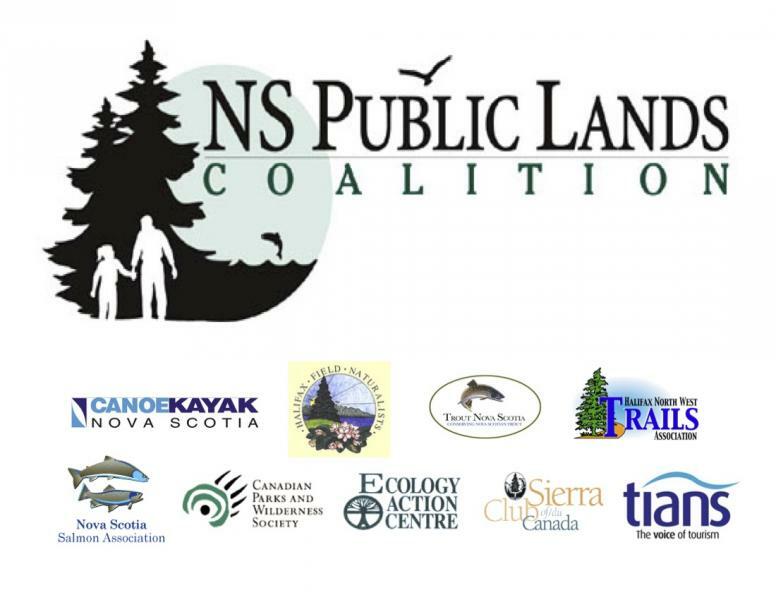 Fast-forward to the late 1990s when groups across the province came together to form the Nova Scotia Public Lands Coalition. Together they vigorously advocated for the completion of a network of protected Wilderness Areas and Nature Reserves across the province. 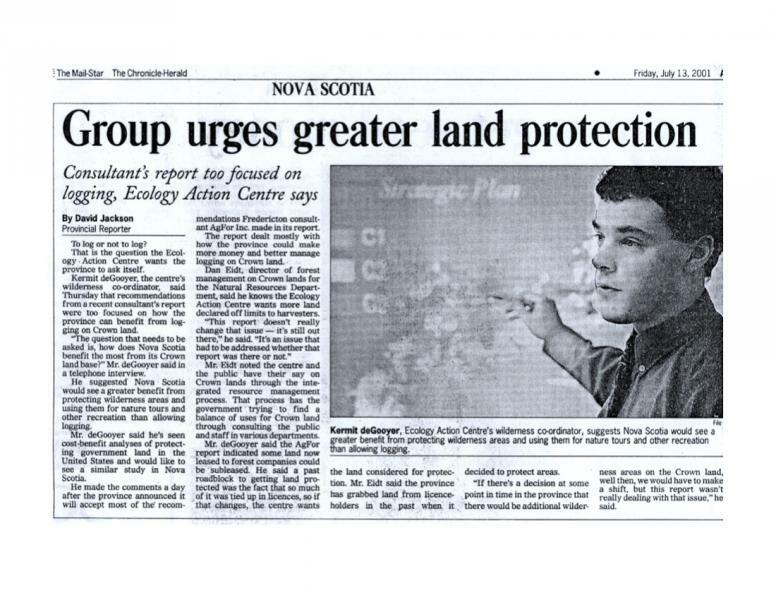 This was to be Nova Scotia’s part in fulfilling Canada’s national conservation commitments at the famous Rio Earth Summit of 1992. 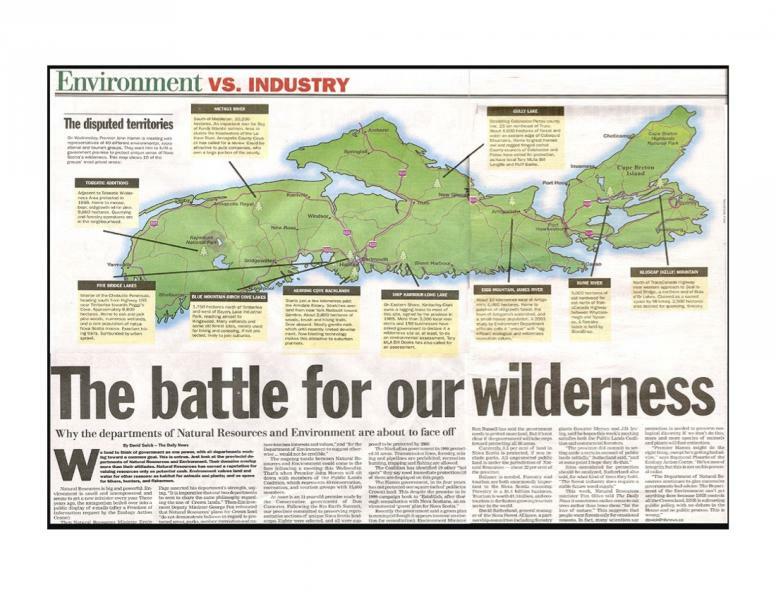 It was accurately described in the media as a final battle to save Nova Scotia’s last remaining wild places, pitting resource exploitation against nature conservation. 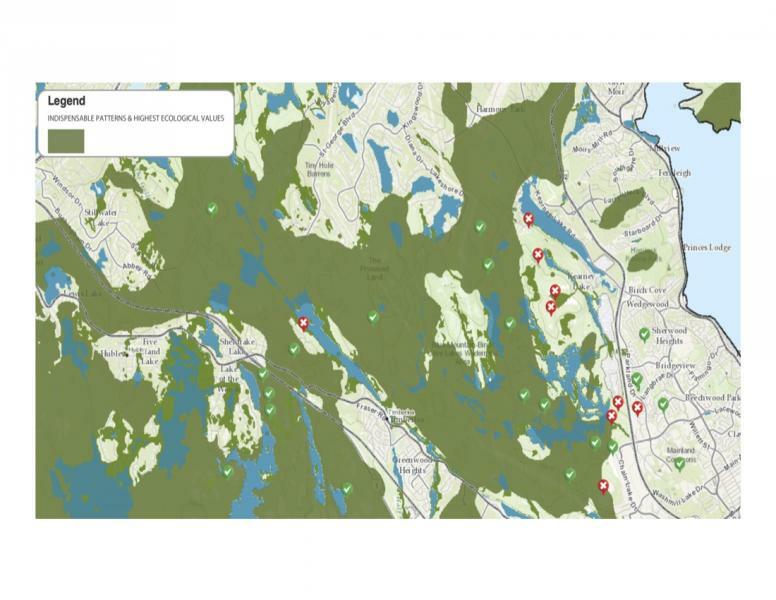 19 high-conservation areas which were under immediate threat were identified and targeted for protection - including Blue Mountain-Birch Cove Lakes (circled in red). 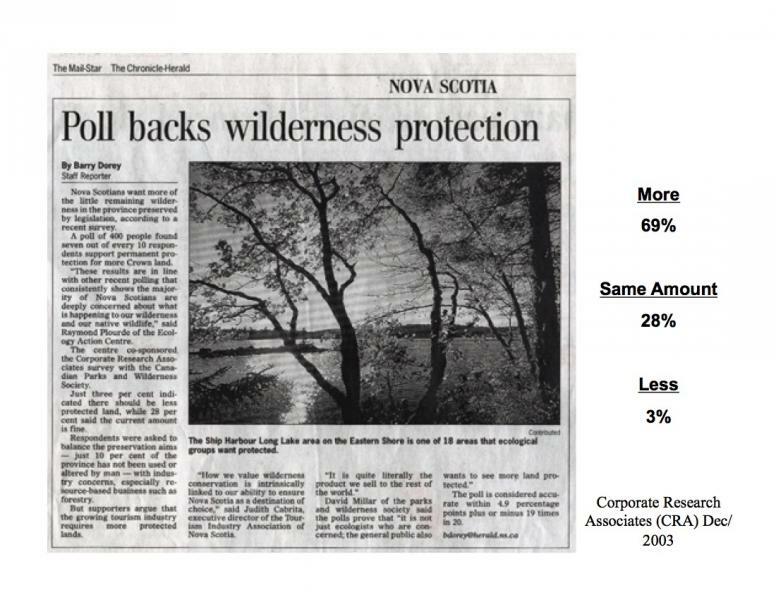 Public support for more protected areas was and remains high in Nova Scotia. 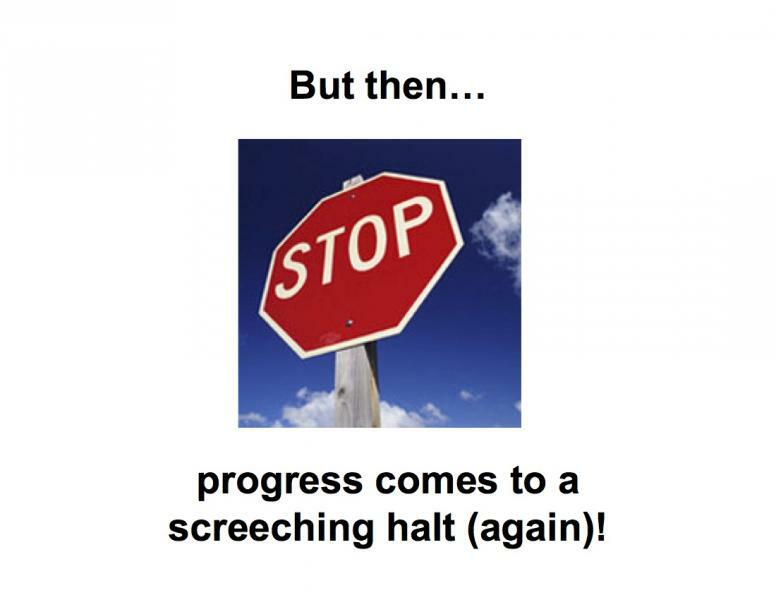 And it’s no wonder – we’ve lost so much already. 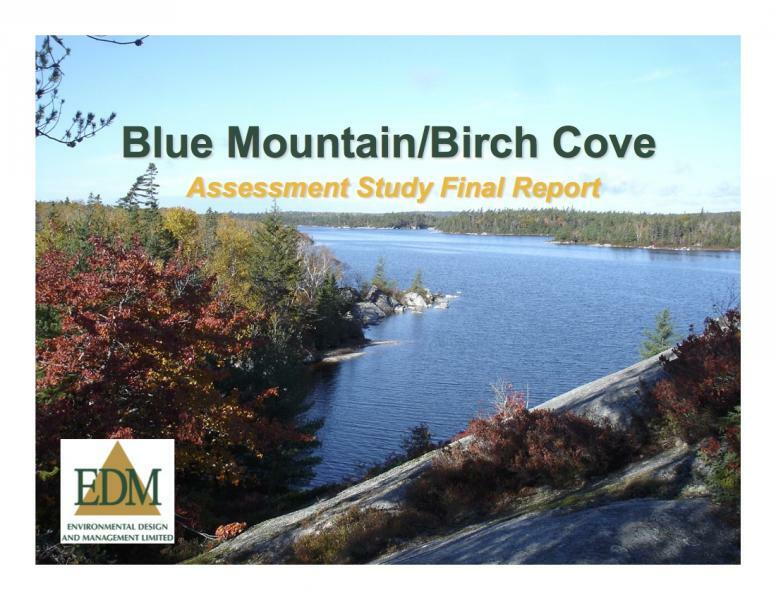 In 2005, HRM hired consulting firm Environmental Design and Management Limited (EDM) to do a detailed assessment of the Blue Mountain-Birch Cove Lakes area for Regional Park consideration in the upcoming 2006 Regional Plan. 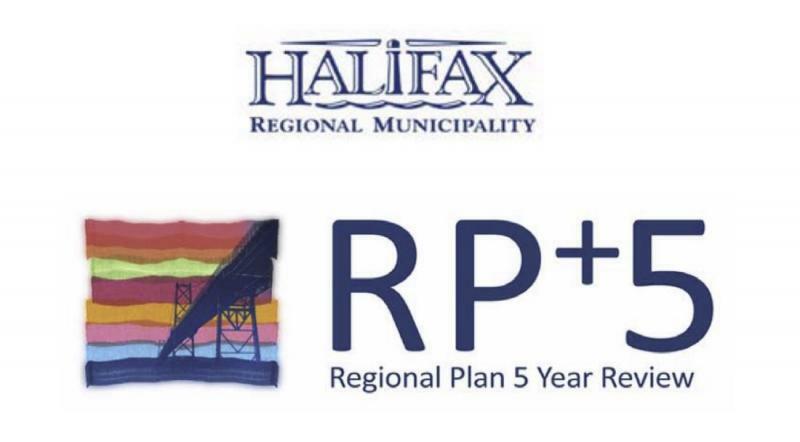 Following five years of planning, discussions, debates and detailed public consultations, the Halifax Regional Municipality passed the Regional Municipal Planning Strategy (RMPS). 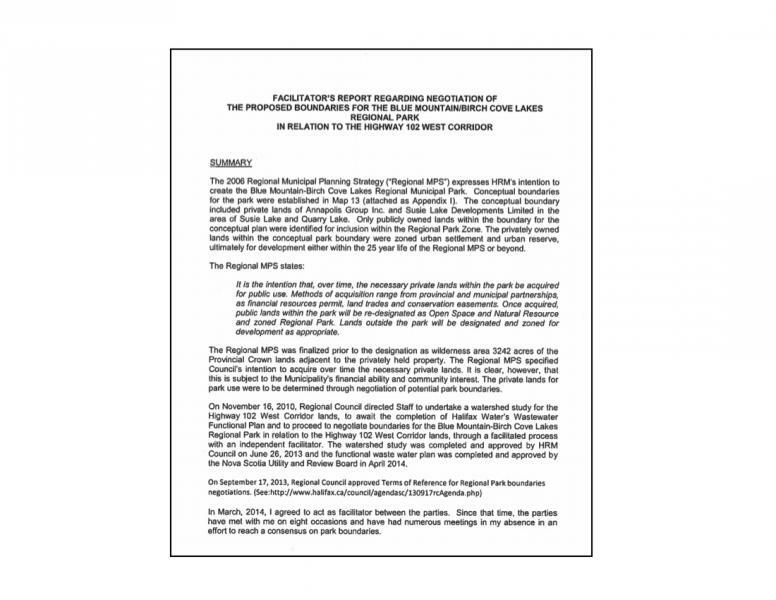 More commonly known as the Regional Plan, it is meant to guide how, and where and what kind of development will and will not be allowed over the next quarter century. The Regional Plan committed to creating six Regional Parks within the 25 year time-span of the plan. 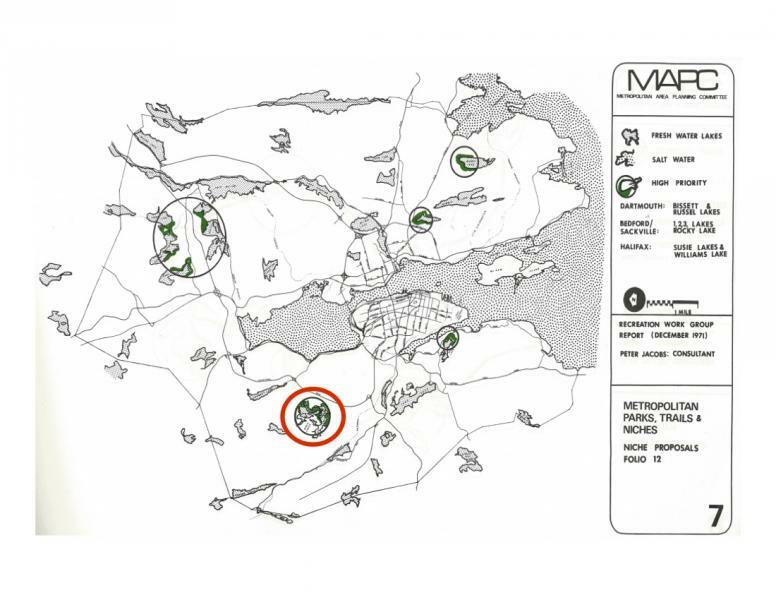 All but one of these were identified simply as a red dot on a large map of the municipality (Map 4). 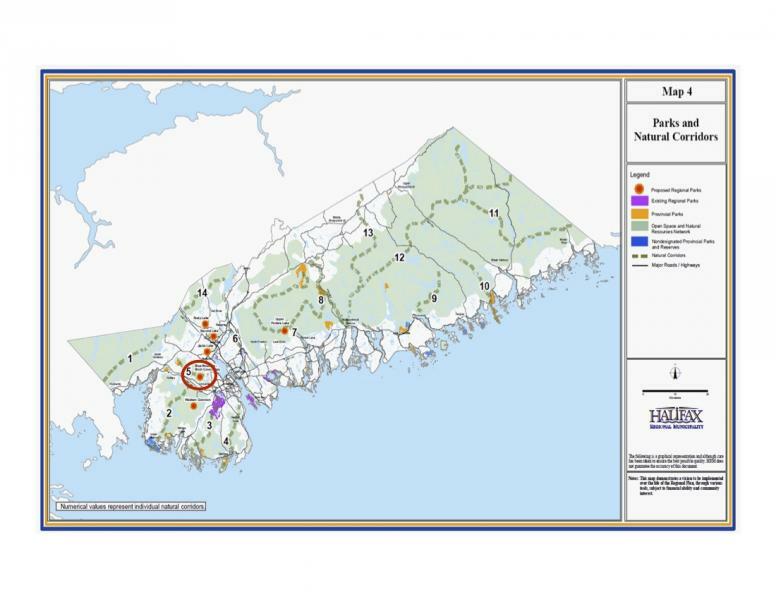 Only one of the six Regional Parks – Blue Mountain-Birch Cove Lakes (circled in red) had any further definition or details. Those details were based on the award-winning parks planning study done by EDM in advance of the Regional Plan. 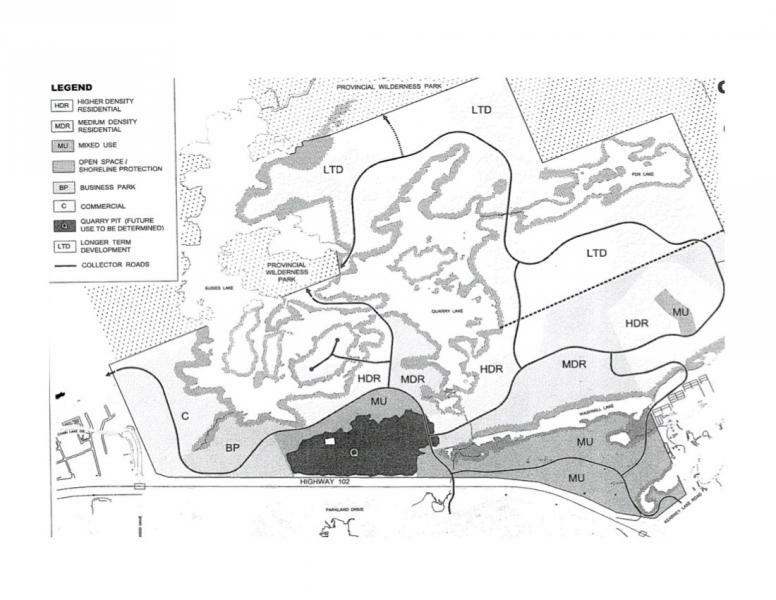 The Regional Plan presented a detailed map of the intended park (Map 13 and later, Map 11 in the 5-year review) showing the western boundary located along a natural ridgeline and encircling the Birch Cove Lakes. The area is made up of a combination of Provincial Crown land and privately owned land. None of these lands have development rights. They are zoned “urban Reserve” and are not to be considered for development during the 25 year Regional Plan (if ever). The Regional plan commits to acquire the “necessary private lands” for the park (as shown on Map 13) and lists a number of methods for acquisition. 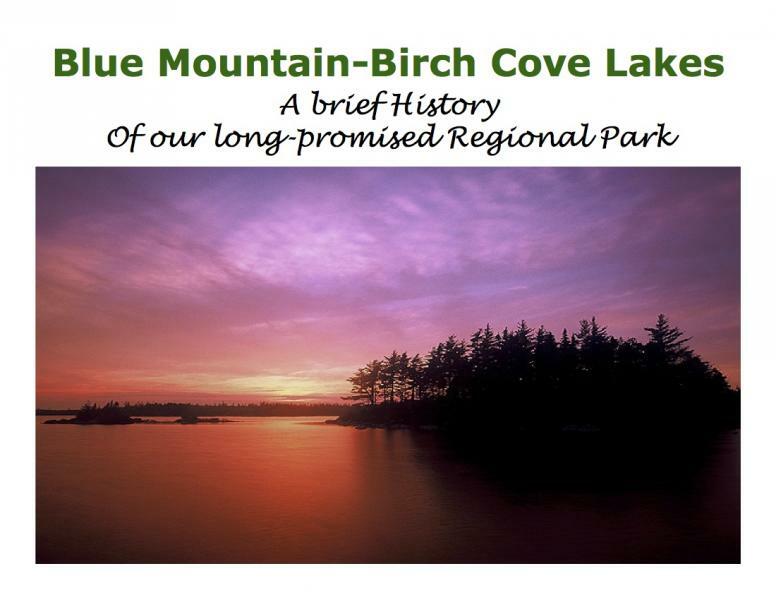 In October 2007 the provincial government announced the creation of a new protected Wilderness Area at Blue Mountain-Birch Cove Lakes. 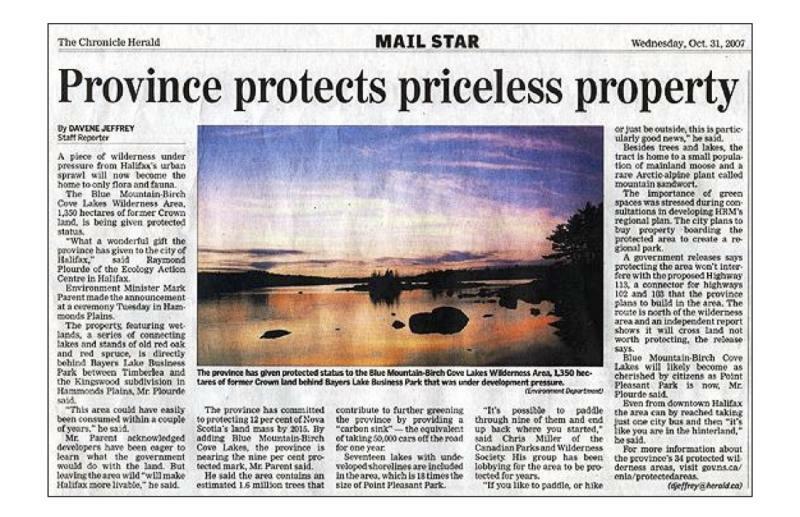 With strong encouragement from the Public Lands Coalition the province protects 1,350 hectares of Crown Land – a multi-million dollar contribution to the City’s plan for a large wilderness Regional Park. The original Blue Mountain-Birch Cove Lakes Wilderness Area (shown in yellow). 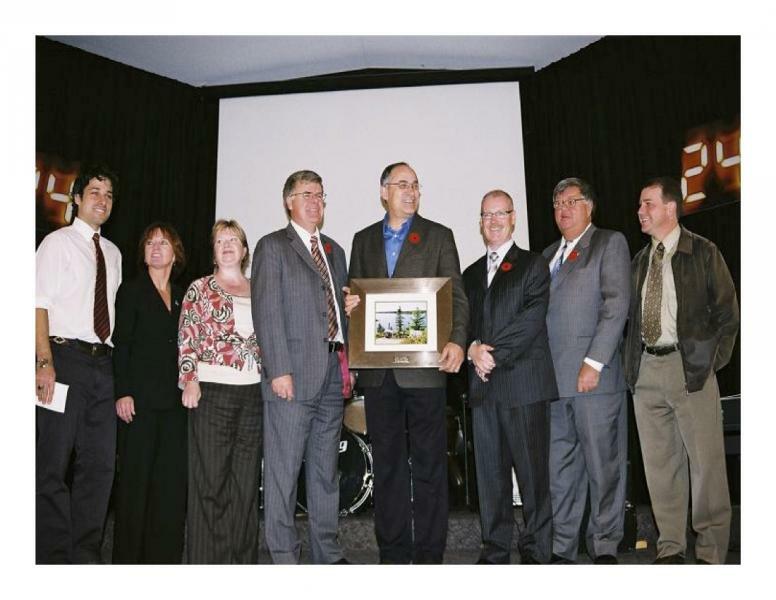 Then Mayor Peter Kelly acknowledged the province's contribution toward the City’s intended park in a press release. 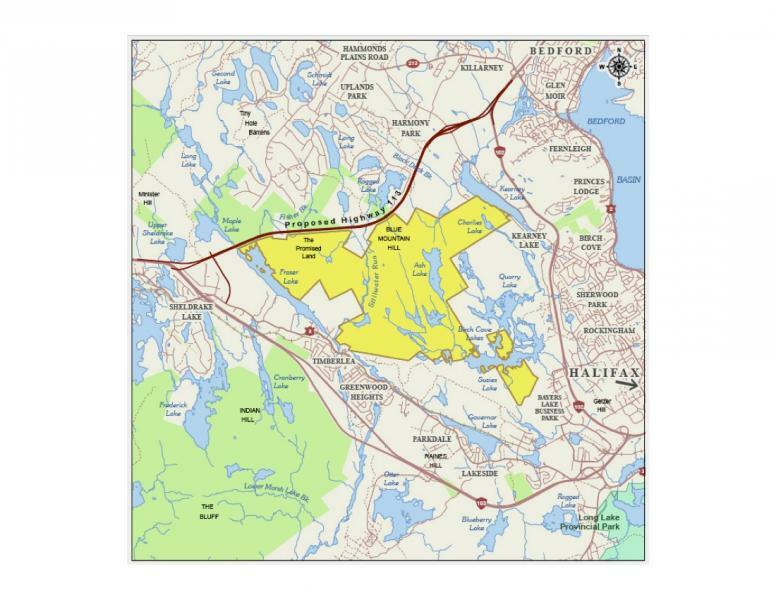 Barely a year into the 25 year Regional Plan and despite the moratorium on development in the area, the landowners on the western side of the Birch Cove Lakes—The Annapolis Group and The Stevens Group—asked HRM to approve “Secondary Planning” for a sprawling subdivision all around the Birch Cove Lakes and right up to the boundary of the new Wilderness Area. 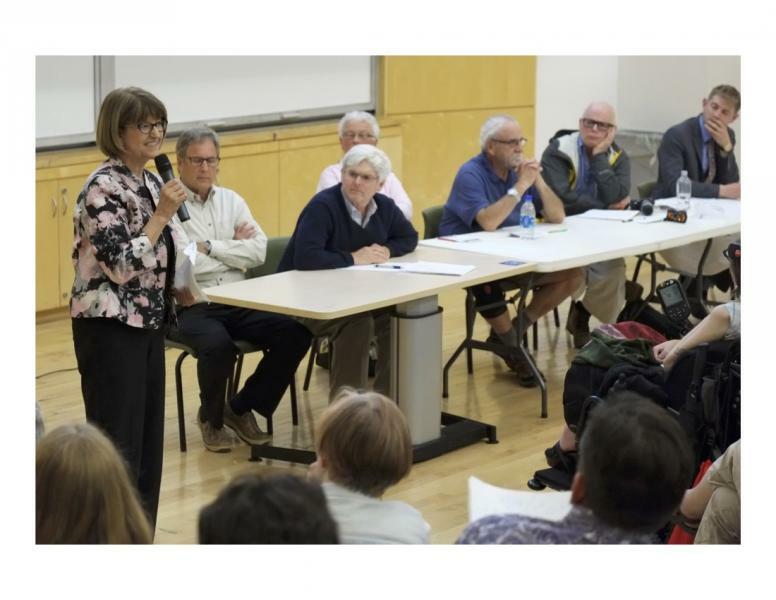 If approved, their plan would effectively kill the Regional Park. 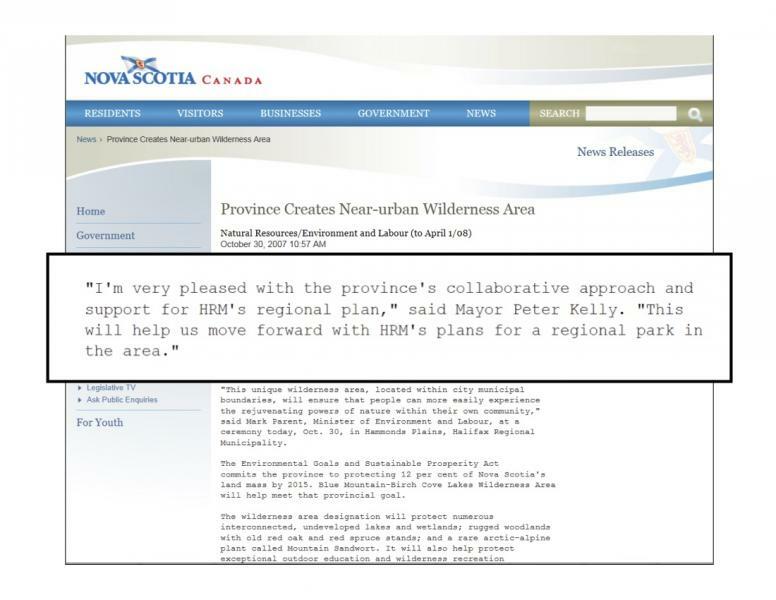 Then Mayor of Halifax, Peter Kelly, also backtracked on commitments that HRM would move forward with land acquisition for the promised park. Former Minister of Environment, Mark Parent, publicly spoke out about this change in direction as the “height of political Machiavellianism”, emphasizing that the Regional Plan was discussed publicly on several occasions and that the commitments of the plan mean something and need to be implemented. 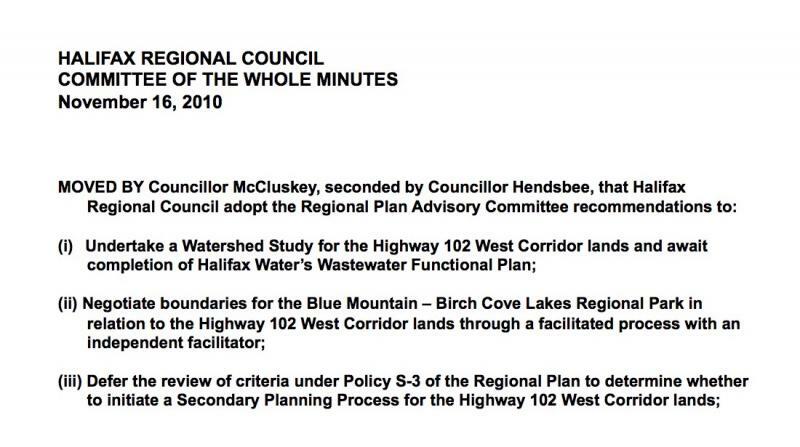 In November, 2010 HRM Council deferred any consideration for Secondary Planning and instead ordered that a Watershed Study be done for the area and to begin negotiations with the developers/landowners for the necessary park land through a “facilitated process”. 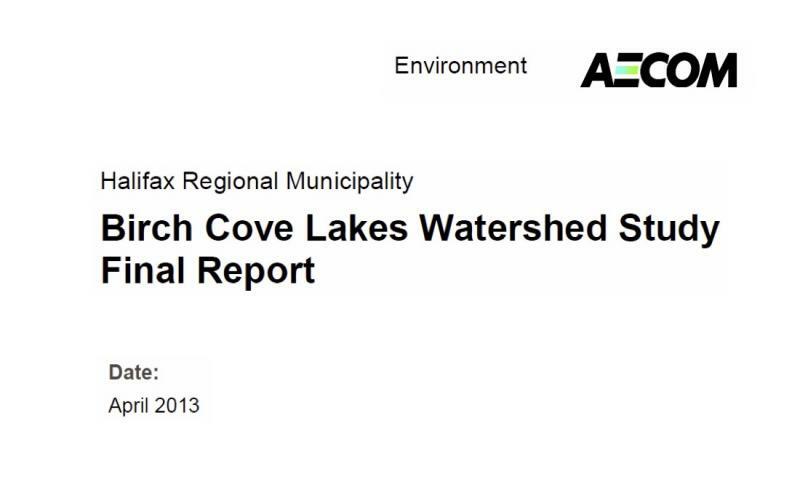 The watershed study was completed by consulting firm AECOM and delivered to HRM in April 2013. 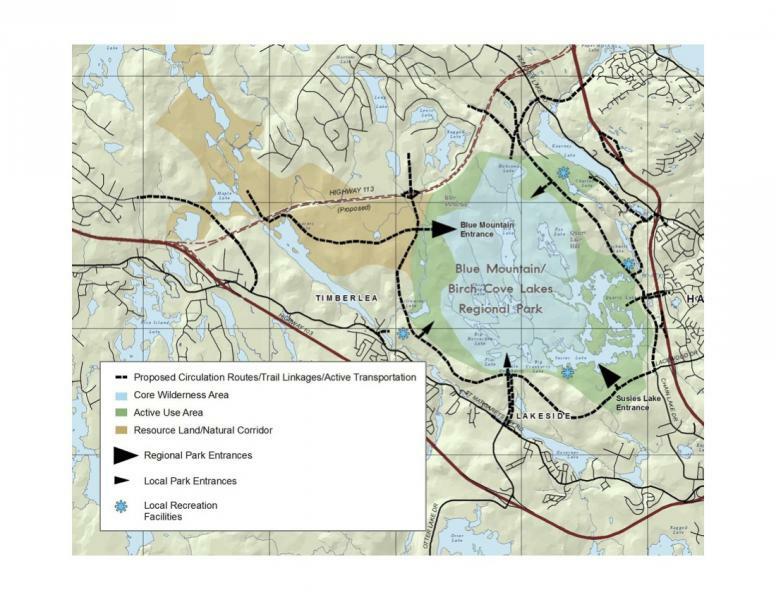 The watershed study shows that development of the lands west of the 102 highway, including around the Birch Cove Lakes, would have a negative impact directly on these headwater lakes as well as a compounding negative downstream effect on lakes outside the intended park - specifically Kearny Lake and Paper Mill Lake, which are already under considerable stress from surrounding development. 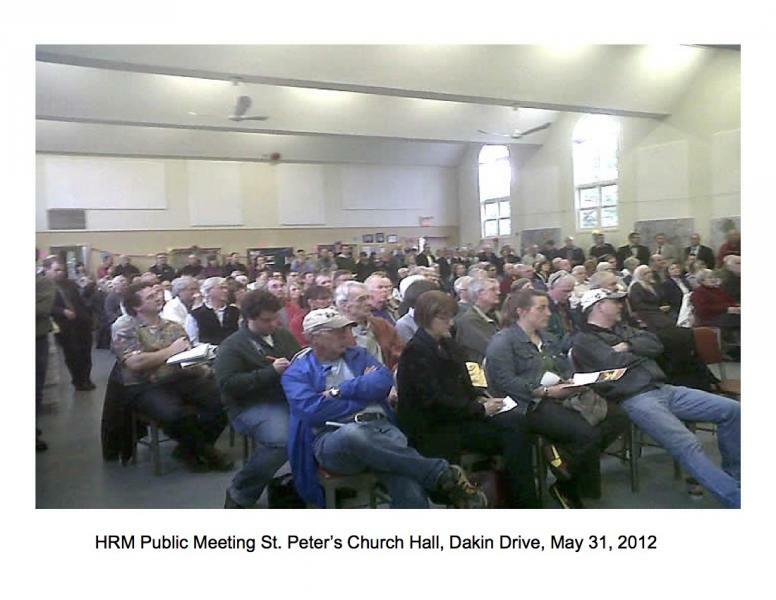 A very well-attended public meeting (300+) was held Thursday May 31, 2012 at St. Peter's Church Hall on Dakin Drive in Halifax to review planning work undertaken by City staff and provincial Protected Areas planners. A more fleshed-out park plan was taking shape with a large natural core area called the “back-country” (in dark green) made up largely of the provincial protected lands and a more intensive use “front country” area (in light green). Which would act as a buffer for the interior core and where services and amenities would be located. The park concept was very well received by the public. 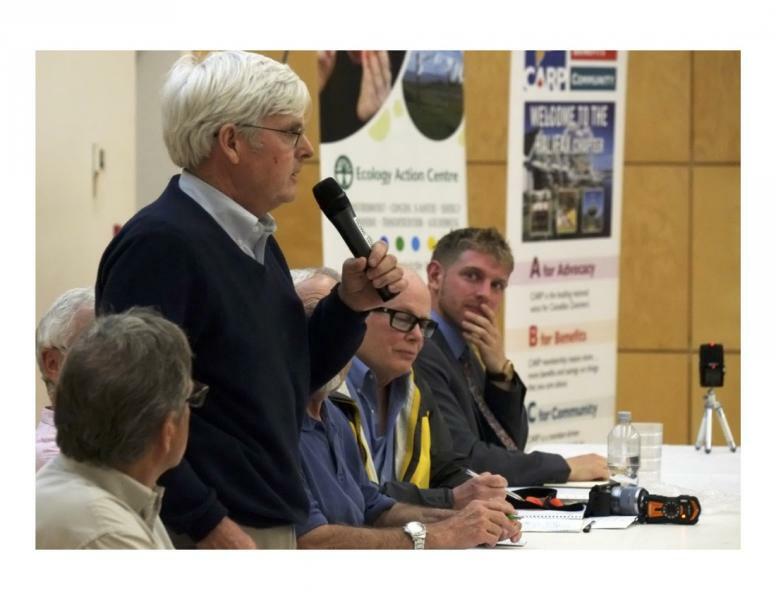 Following the public meeting a detailed Staff Report was prepared for HRM’s Environment Committee and eventually Council, but was never presented after a letter was sent to the City by the developer’s lawyers vaguely suggesting legal action. After that key City staff were removed from the file at the pleasure of the developers and all planning work on the park ceased. 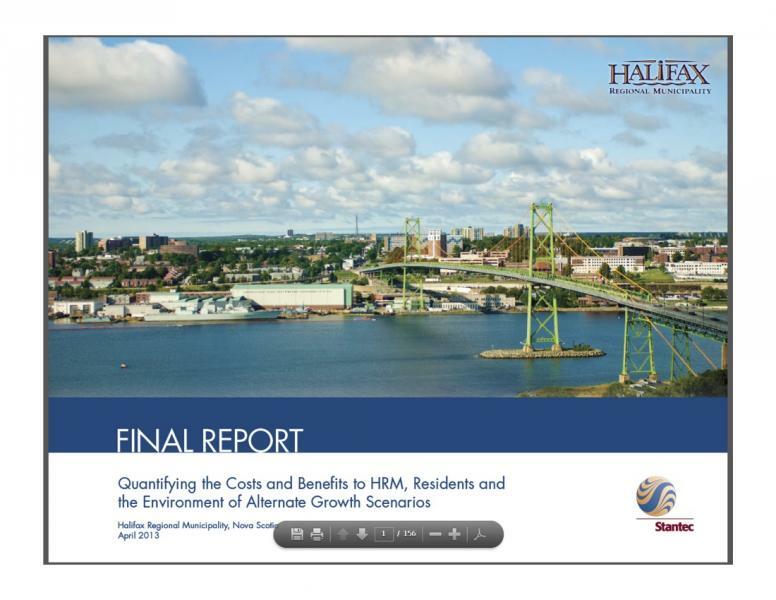 Meanwhile a major report from global consulting firm Stantec in 2013 showed that HRM could save millions and potentially billions if it directed more residential growth towards the serviced core of the city and to regional growth centers and AWAY from “greenfield” or “sprawl” developments of raw, undeveloped land outside the serviced areas. 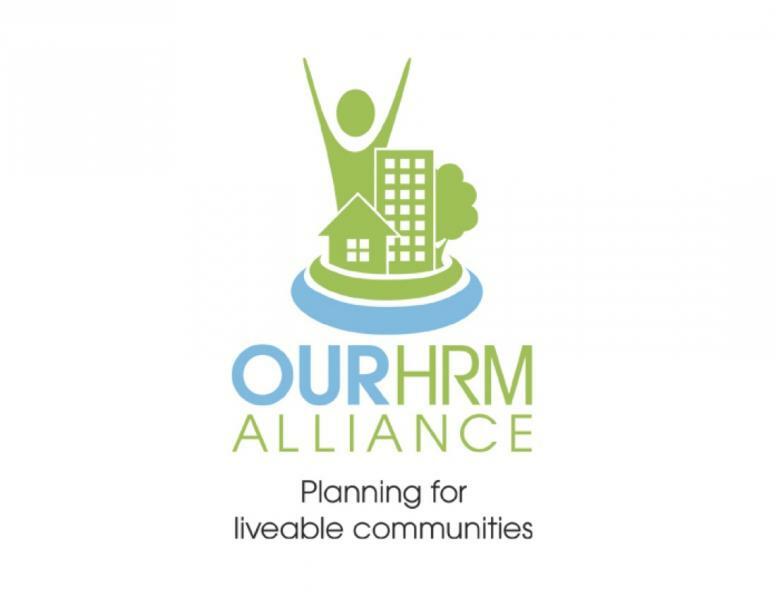 Around this time the Our HRM Alliance – a coalition of over 50 groups from across the Halifax Regional Municipality – was formed to promote directing growth, reducing urban sprawl and protecting important natural areas around the urban core and regional centers through the concept of Greenbelting. Lots of leading cities around the world have created greenbelts to protect important natural areas and resources from development and degradation. 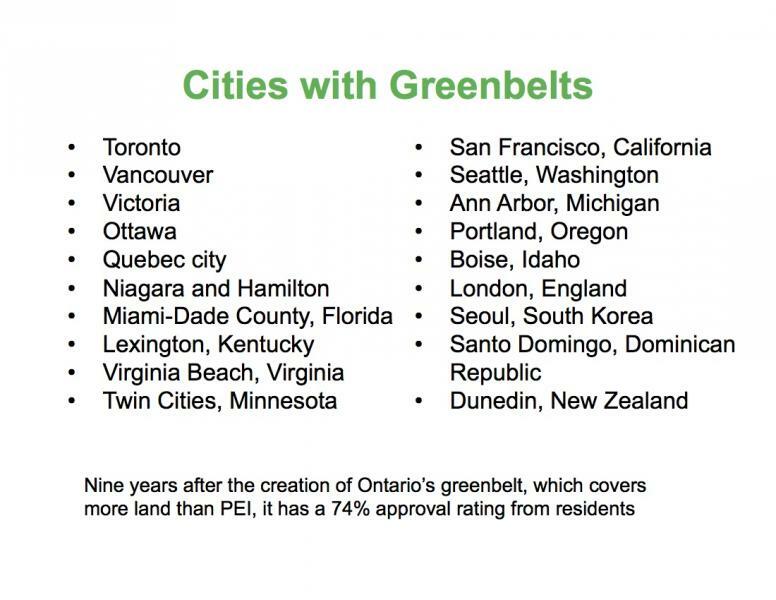 It’s high time Halifax had it’s own Greenbelt. 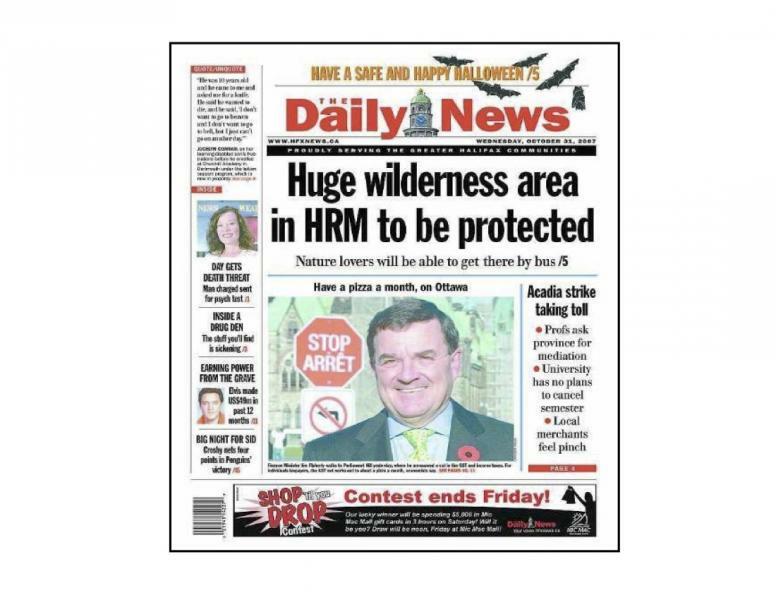 The Our HRM Alliance proposes a green network (or greenbelt) for HRM that would be the envy of the country – including protection of important lynchpin natural areas like Blue Mountain-Birch Cove Lakes, the Purcell’s Cove Backlands and the Sandy Lake area. 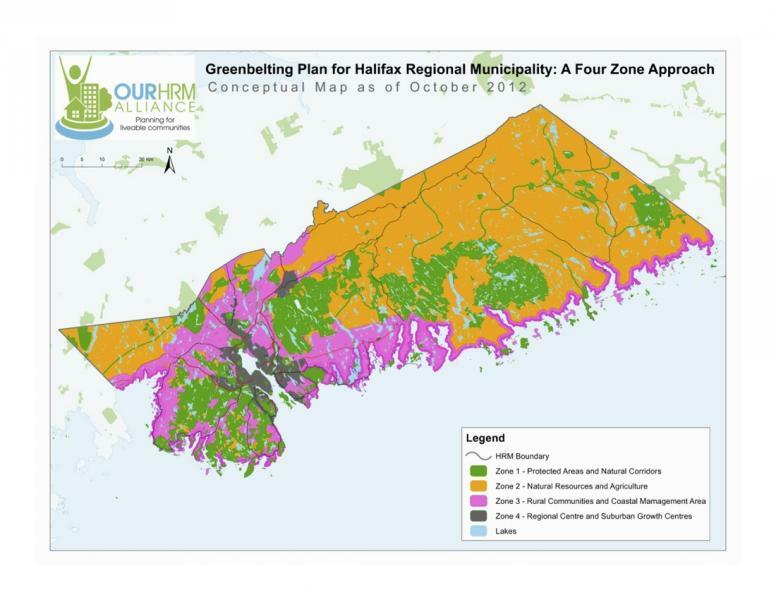 In 2014, as a result of the work of the Our HRM Alliance, a commitment was made in the Regional Plan’s 5-year review to develop a “Greenbelting and Public Open Space Priorities Plan”, also known as the Halifax Green Network Plan. 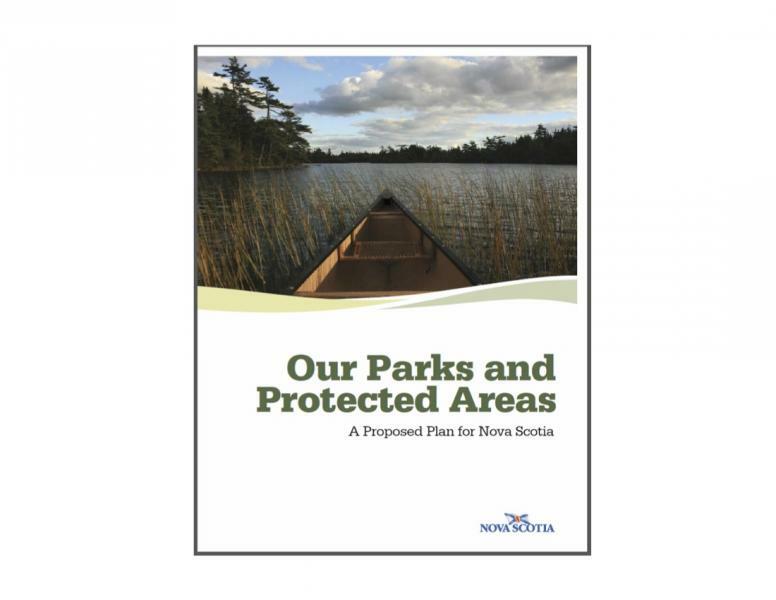 Meanwhile, in late 2015, after years of scientific study and massive stakeholder consultations, the provincial government designated over 100 new protected areas across the province as part of its Parks and Protected Areas Plan, released in 2012. 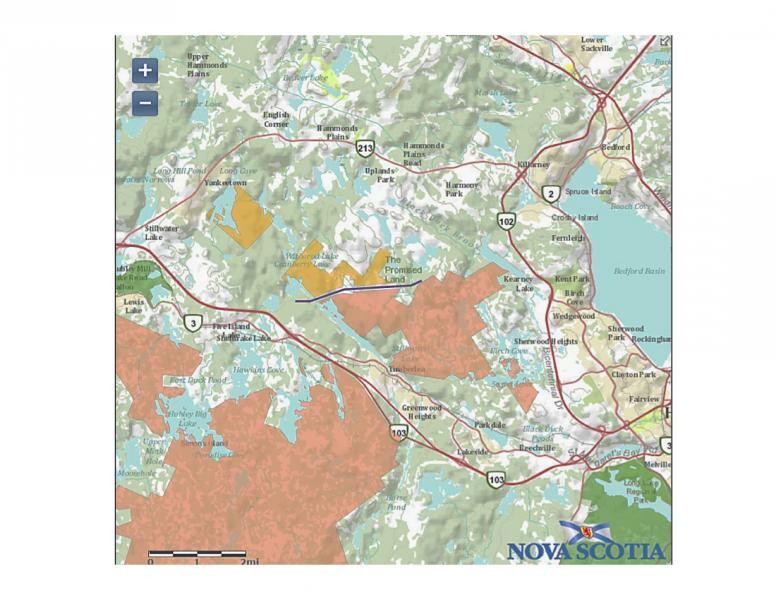 As part of the new suite of protected areas the provincial government added two more large of chunks of land (coloured in bright orange) to the existing Blue Mountain-Birch Cove Lakes Wilderness Area (coloured in pink). 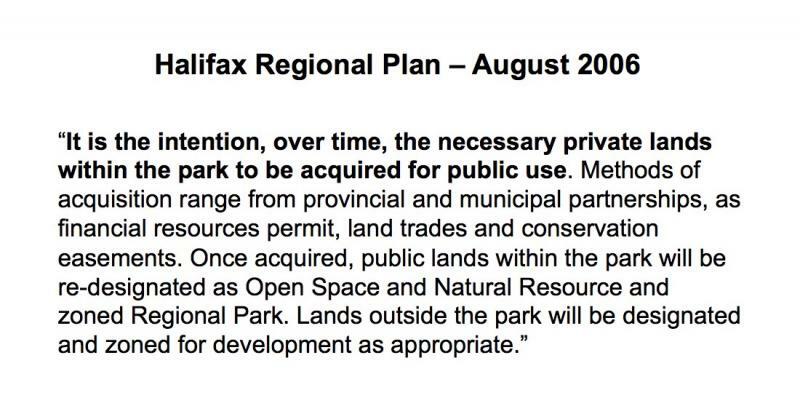 Altogether the provincial contribution represents about 70% of the land needed for the long-promised Regional Park. Acquiring the rest of the necessary private lands is the City’ responsibility. 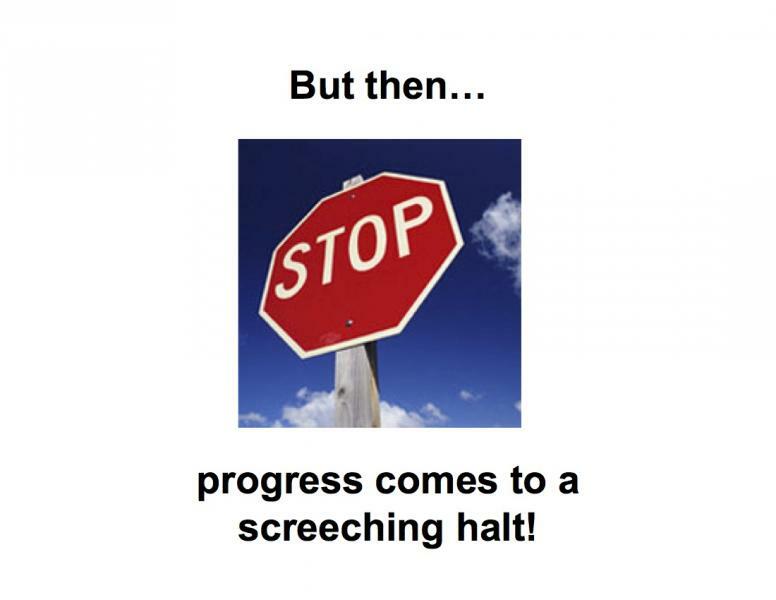 In early June 2016 a terribly flawed Independent Facilitator’s Report was released siding 100% with the developers and against city staff and recommending that a sprawling suburb be allowed to be built INSIDE the proposed park boundaries and right up against the provincial Wilderness Area. 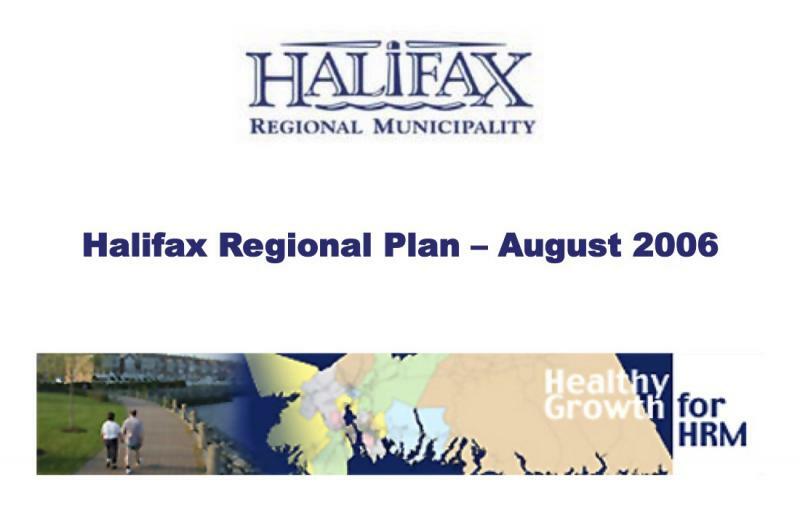 The Report was soundly rejected in written submissions by over 1,500 citizens across HRM. The Facilitator's Report amazingly presents the developer’s “Development Map” as an acceptable way to create the Park (?!!?) 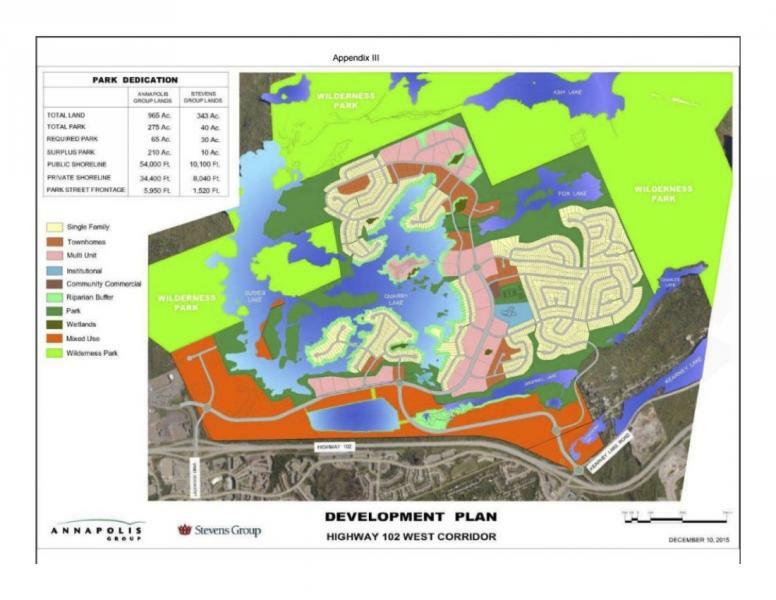 The developer’s map, although now in colour, is virtually identical to their 2007 development plan previously rejected by HRM. 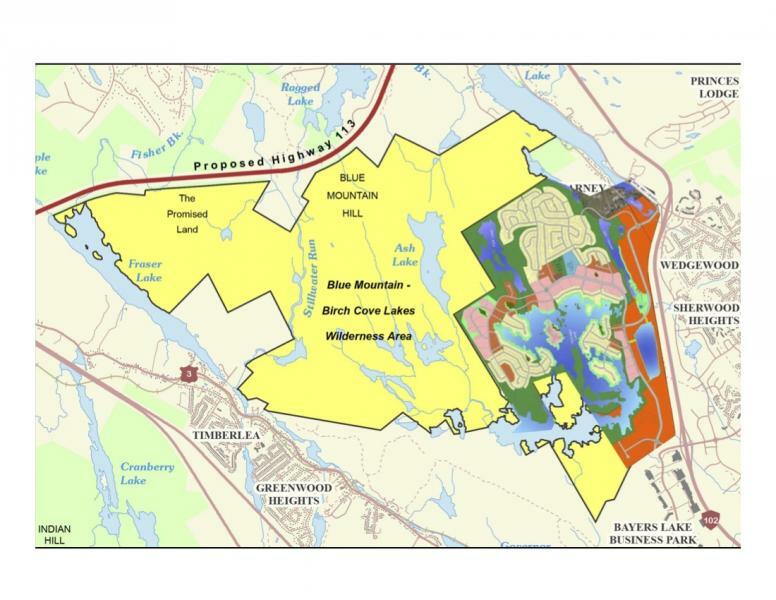 Once again it shows a huge sprawl development all around the Birch Coves Lakes and right up to the boundary of the provincially protected Wilderness Area. 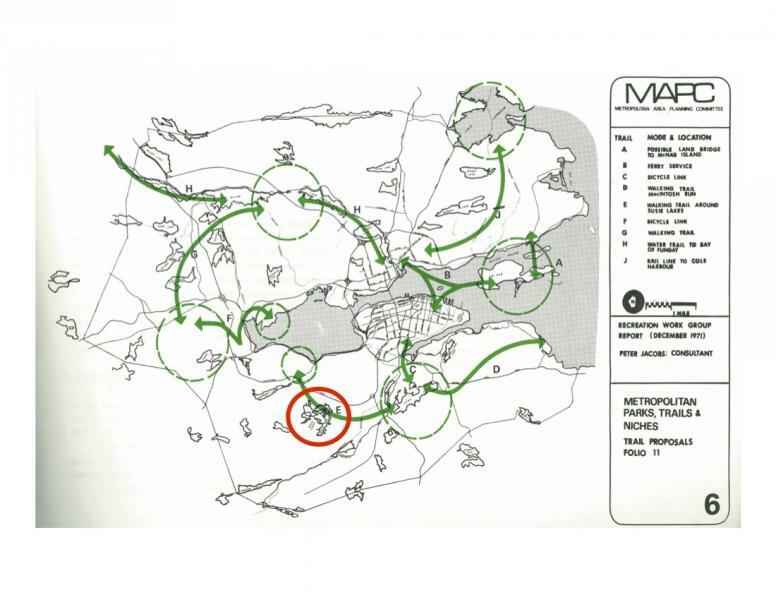 Compare this with the original black and while development map proposed by the developers in 2007, below. Either in colour or black and white the proposed subdivision is simply unacceptable and incompatible with the long-promised park. 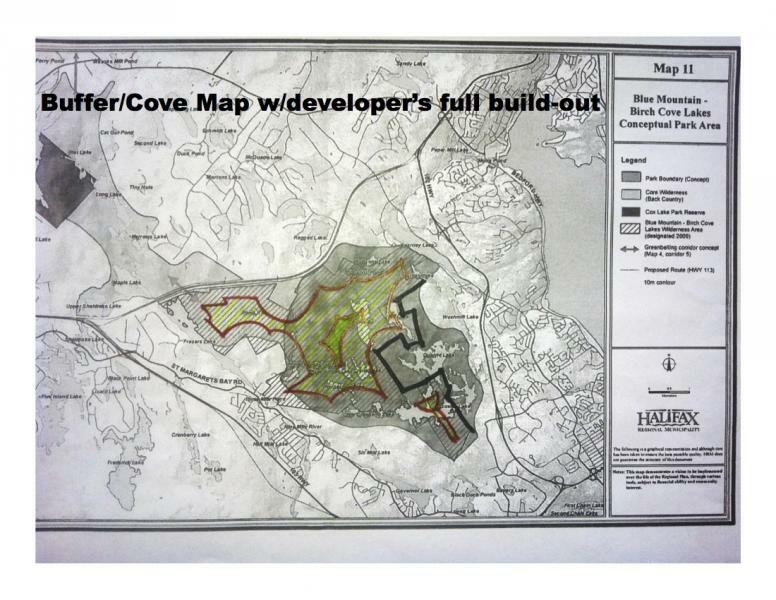 Below is a map showing where the proposed development inside the park would be, coloured in red cross-hatch. 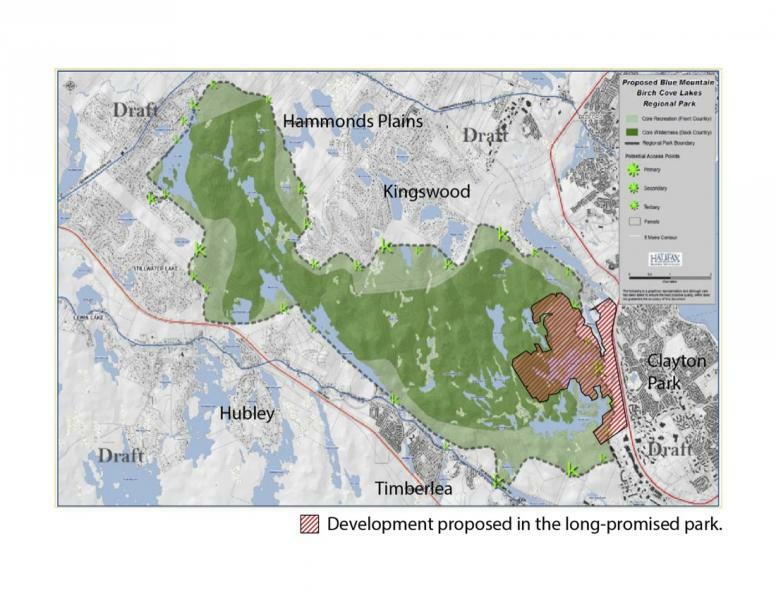 Below is a zoomed-in view showing the developer’s proposed sprawl subdivision all around the Birch Cove Lakes and right up against the provincial protected Wilderness Area. If approved this development would kill the Regional Park and badly compromise the ecological integrity of the Wilderness Area. 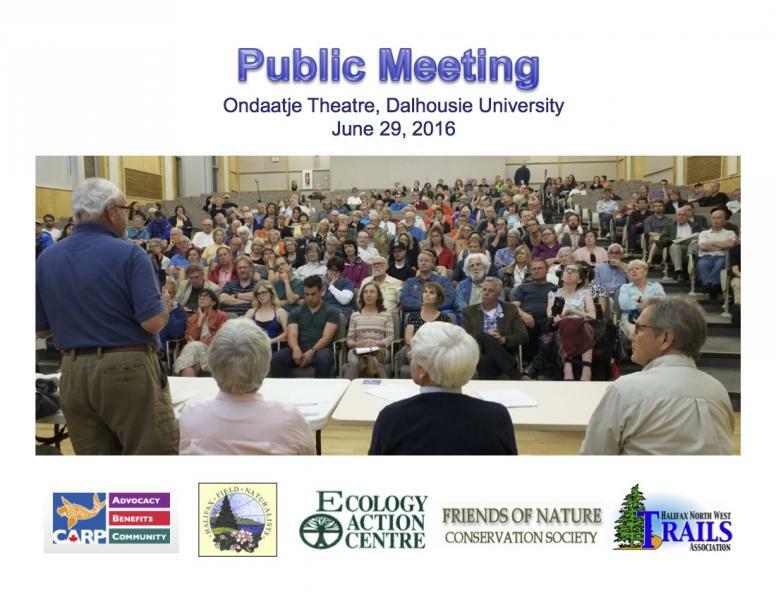 Greatly alarmed by Facilitator’s Report, a well-attended public meeting was held at Dalhousie University by the Ecology Action Centre, Halifax Field Naturalists, Canadian Association of Retired Persons, Halifax Northwest Trails Association and Friends of Nature Conservation Society. 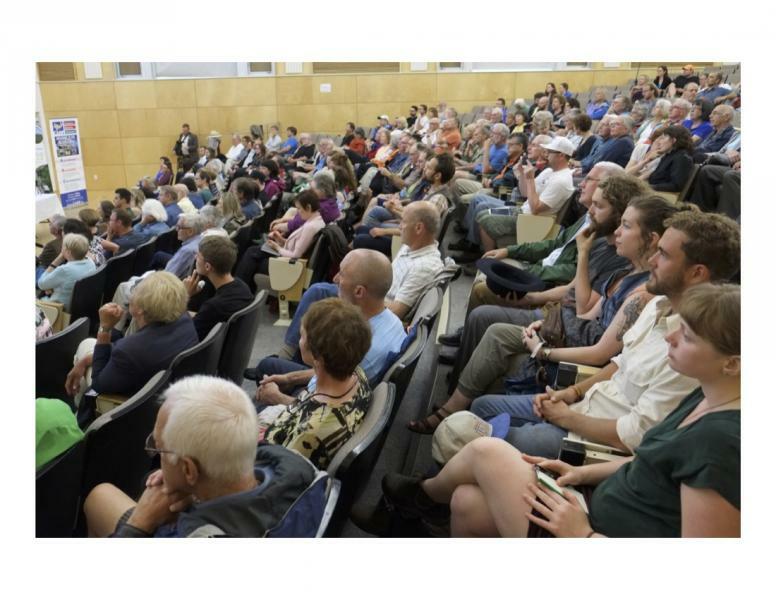 The Ondaatje Theatre was nearly full with over 300 people in attendance. Syd Dumaresq, president of Friends of Nature Conservation Society addresses the crowd. Deputy Premier and Clayton Park MLA Diana Whalen, a long-time supporter of the Park, brought greetings and support from the Provincial Government. 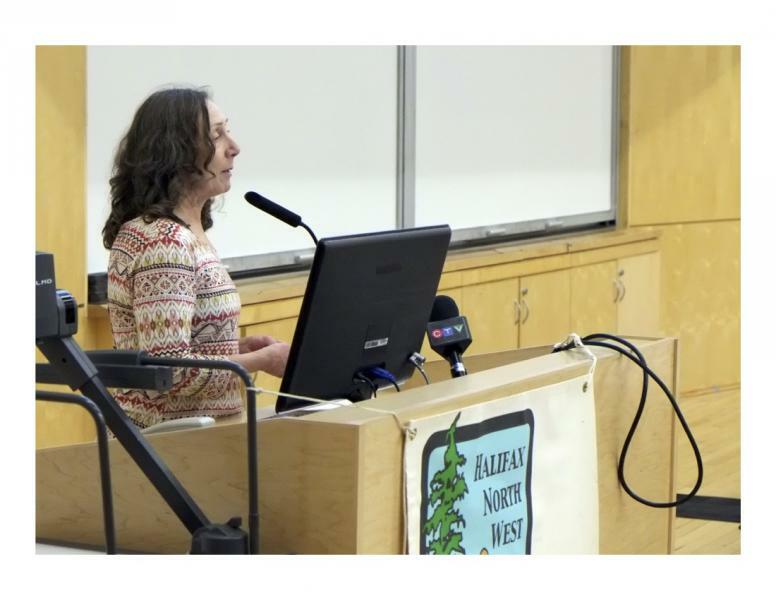 Dalhousie University professor Karen Beazly, from Dal’s School for Resource and Environmental Management and an acknowledged expert on parks and protected area design and management, addresses the problems with the proposed sprawl development and its impacts on the provincially protected Wilderness Area. Professor Beazly’s work found that if the subdivision were allowed to go ahead as planned (shown on right side with black outline) there would be no “buffer” or transition zone and the effective protected “core area” would shrink inward to a very small size (in the middle, cloured yellow) mking it functionally useless for conservation objectives. 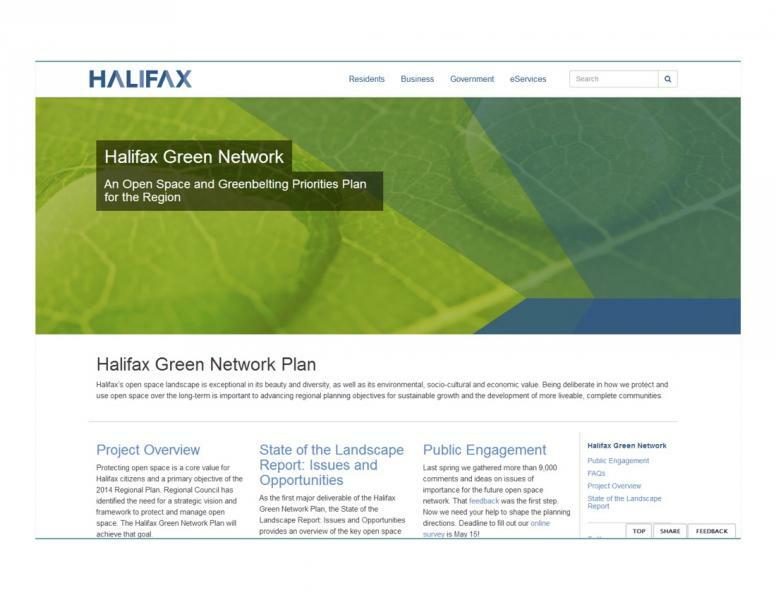 Meanwhile the Halifax Green Network Plan is nearing completion. And to the surprise of no one is showing that Blue Mountain Birch Cove Lakes is an indispensable area of high ecological value.